Protecting your skin from the sun is a 365 day-a-year job. Summer is officially over, but all the sun exposure from sunny days at a beach, playing outdoor sports or soaking up the rays may have damaged your skin, forming dark brown spots that make your skin look dull and lackluster. Even sun exposure during the winter months can harm your skin. UVA rays, called the rays of aging, are everywhere and can penetrate even on cloudy days and through glass windows in your home or car. These rays are responsible for damage like wrinkles, brown spots, and skin cancer. 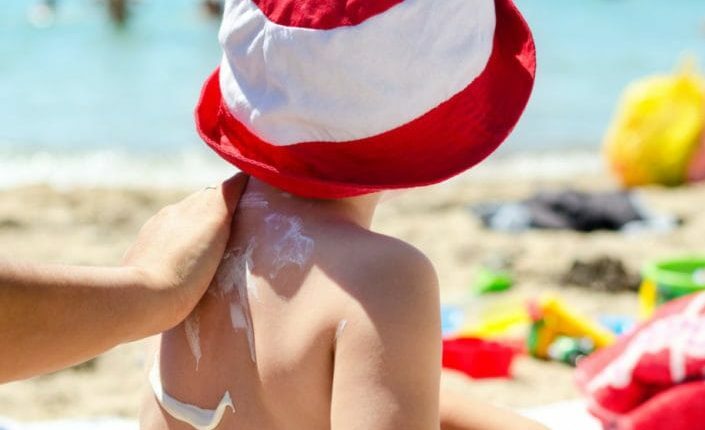 Sun damage is cumulative and begins in childhood, so protecting from the early ages – babies too – with sun protection or clothing is an important step. If you don’t routinely use sunscreen, your skin is at risk for premature aging, and also for developing skin cancer, especially melanoma, the deadliest form. The other consequences that may not be life threatening include wrinkles, an uneven complexion and discoloration and dark spots on the face, chest, and hands. 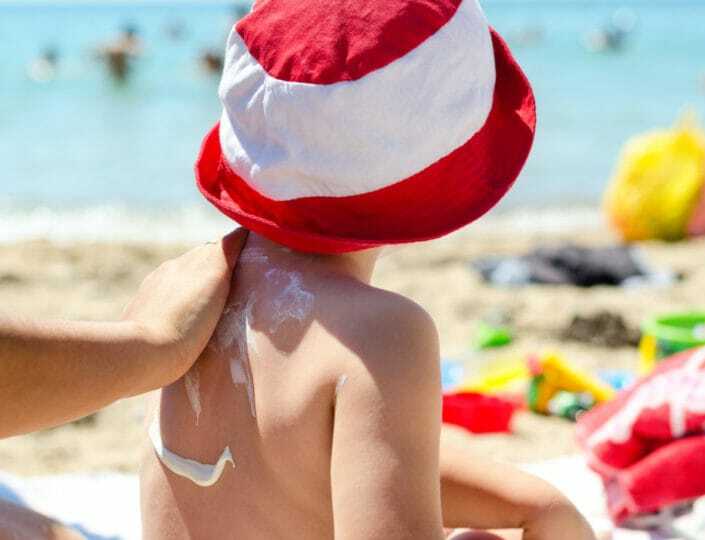 ‘Using adequate sunscreen is vital daily component for all skin types to guard against deadly skin cancer and the ravaging effects of UVA/UVB exposure on your skin,’ says Washington D.C. dermatologist Cheryl Burgess. ‘Everyone is susceptible to sunburn and skin cancer, even skin of color. There is no such thing as a safe tan – unless it comes out of a bottle or tube of self-tanner.’ She recommends that you apply broad-spectrum sunscreen SPF 30 that protects against UVA and UVB rays every two hours, and reapply after swimming or sweating. Make this step part of your daily morning regimen year round by applying your sunscreen under makeup. Even if you religiously protect your skin now, past damage can rear its ugly head in the form of mottled hyperpigmentation like sunspots and brown patches. Remember that the groundwork for this discoloration was laid years ago by sun exposure and environmental factors. Invasive procedures like lasers or light based treatments and deep peels can reduce the appearance of these spots, but these treatments are expensive and often require some downtime. Skin brightening regimens available through dermatologists or plastic surgeons can often be the first line of treatment help to reduce the appearance of dull, damaged and pigmented skin. Traditionally, the active ingredient in skin lighteners has been hydroquinone, which can cause a whole host of unwanted effects such as photosensitivity and dark blue or black-pigmented lesions.